Two fantastic cricketers. One Chef. A noble intention. No ego branding. This deadly combination brings in a fantastic restaurant. The Ministry of Crabs. While it also makes it to Asia's Top 50 restaurant list, it also operates out a quaint little space in the Old Dutch Hospital in Colombo. A picture speaks a thousand words, but some pictures speak a thousand pictures. This one prawn photo that I posted on instagram went viral (by my standards) and the one question that most people had was, "Is that shell on?" Nope. It was without the shell, but the head was intact." 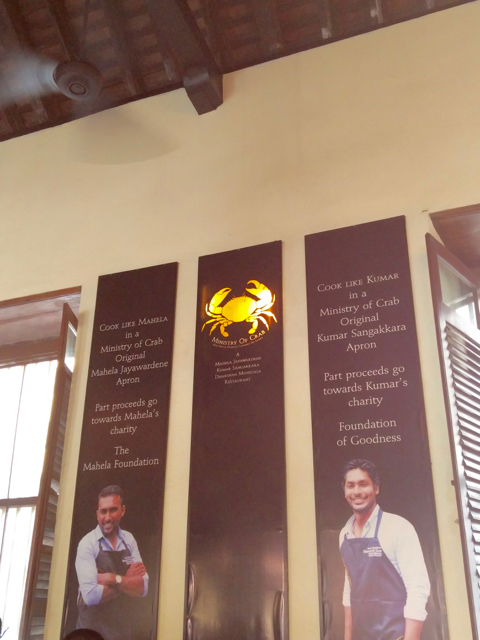 So, we thought we were not going to Ministry of Crabs. After unsuccessfully trying to get a reservation for dinner, including blowing my trumpet about this blog, I was waitlisted. 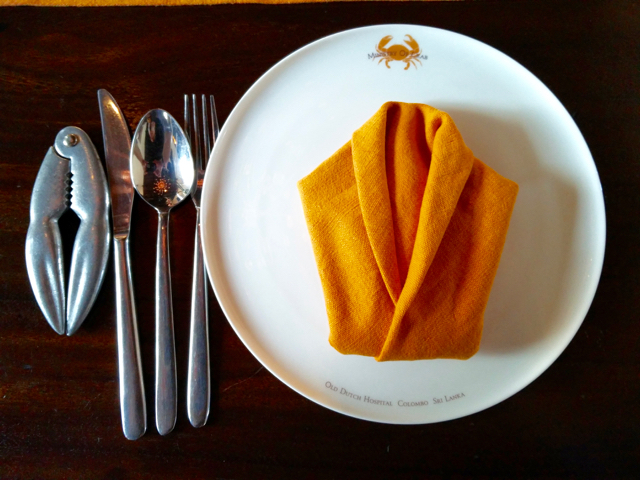 Our host in Colombo was able to get us a place for lunch and after nearly missing our place because of a delayed meeting, we barely made it, just before they were going to release our table. The place was full with a the board, "Sorry, the Ministry is full today." Thank God. 6 of us. 6 prawns, 3 crabs, 2 bowls of rice and two plates of bread. That's it. The prawns came first with the breads. Oh-My-God. 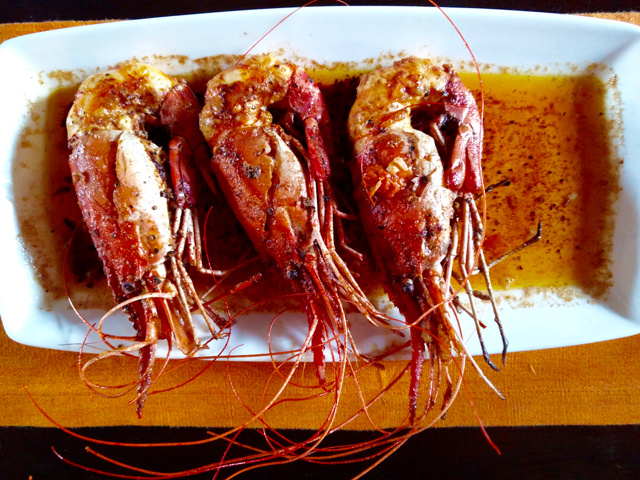 The flavours seeped in well and the prawns were super jumbo. I mean, it could pass off as a baby lobster! Without the shell they were half a fist in diameter and the juices were flowing in the plate that was good fodder for the nice and freshly home baked kale breads. Just one piece each and we thought we were done with the mains. We almost forget the crabs, though this is the Ministry of Crabs. 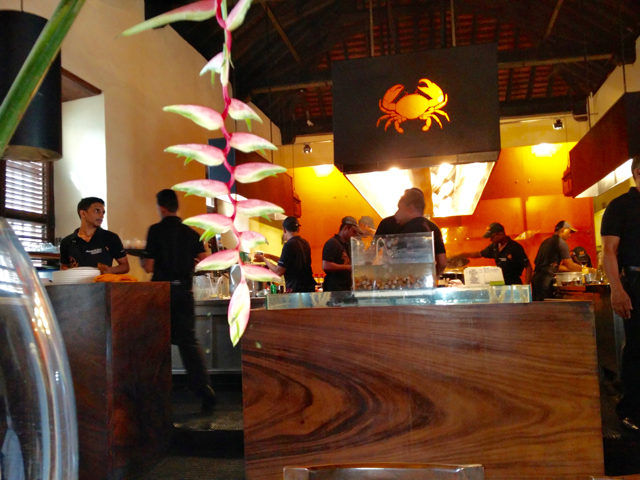 The crabs came in next with the burnt garlic fried rice. The crabs were just as Oh-My-God as the prawns. I am used to having flavours on the shell and no flavour seeping through the crabs, but here, flavours of the marinade had seeped through, and with the natural flavour of the crabs, were simply awesome. We finished off with the only available dessert, the chocolate biscuit pudding that is ubiquitous in Sri Lanka. The meal set us back by LKR 30,000 which is roughly about Rs. 14000! 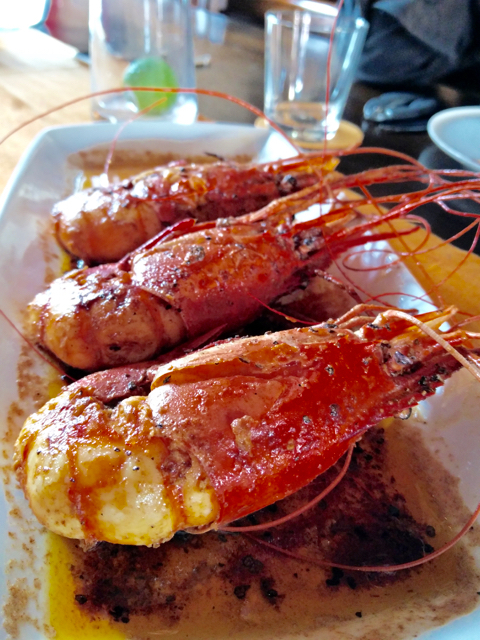 For a premium experience and the size of the prawns and crabs, we thought it was justified. Actually it doesn't matter what we thought, because honestly, we didn't think about it till we got back!! !